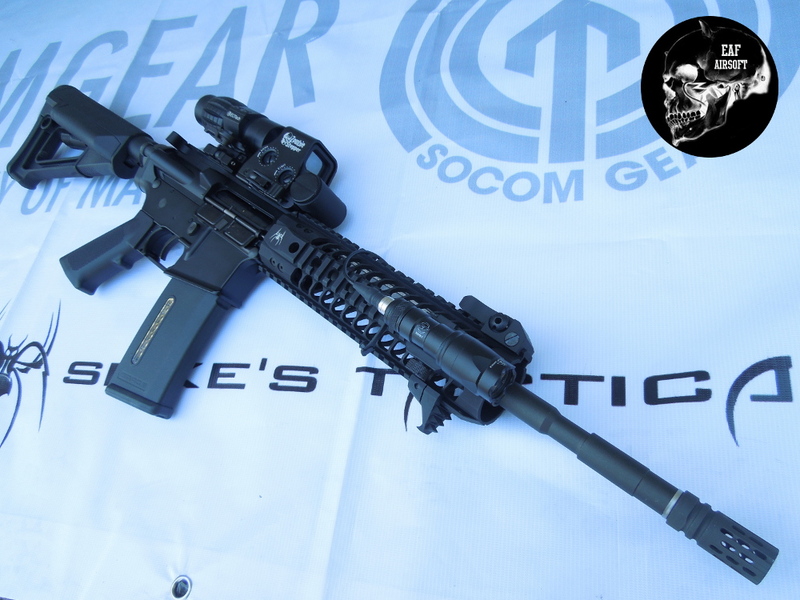 Base B4 Sopmod Bolt EBB. 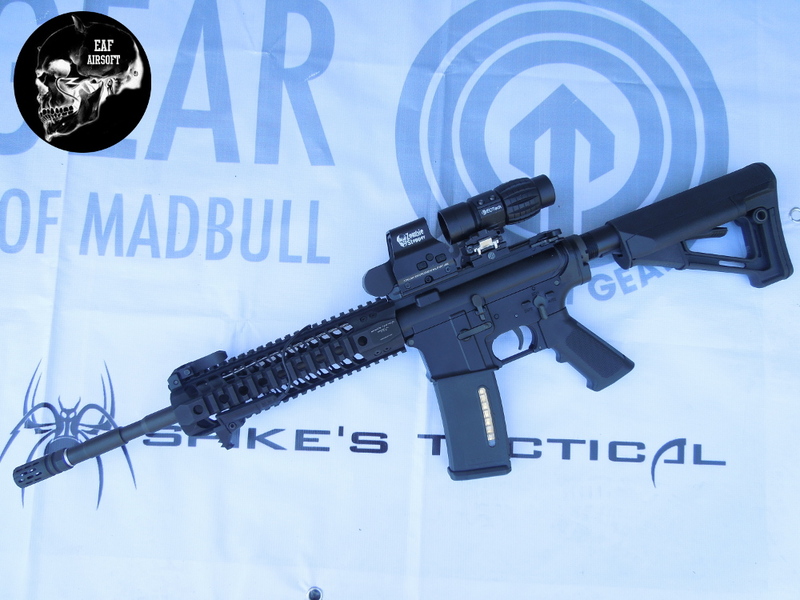 Madbull Spike Tactical ras 9″. 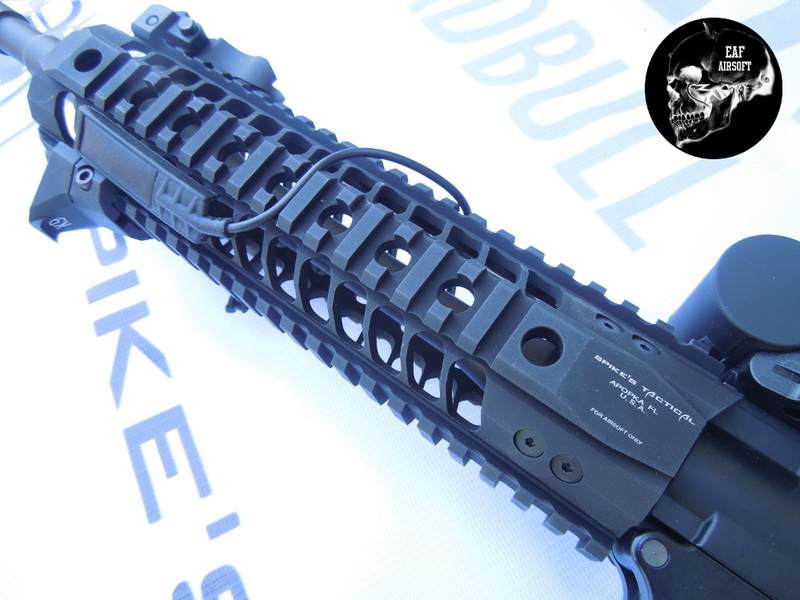 Troy front & rear sight. 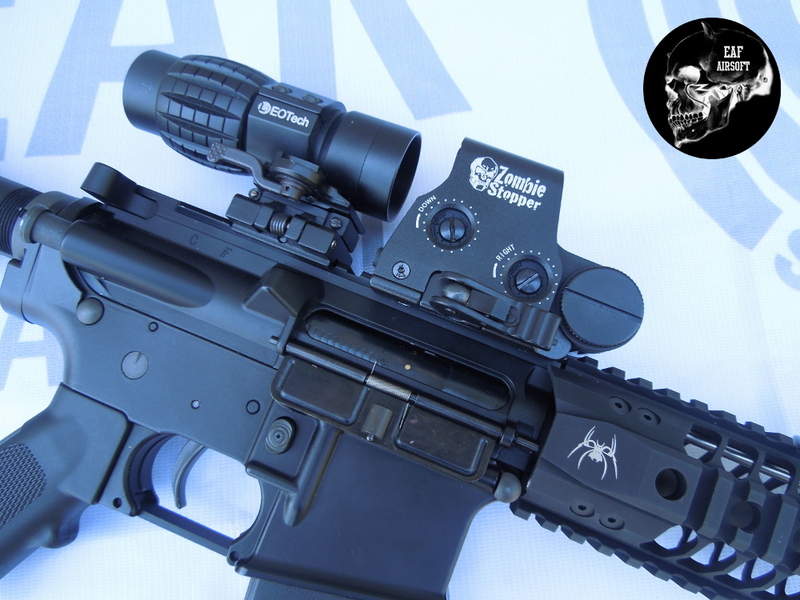 Eotech 551 Zombie Stopper AABB. 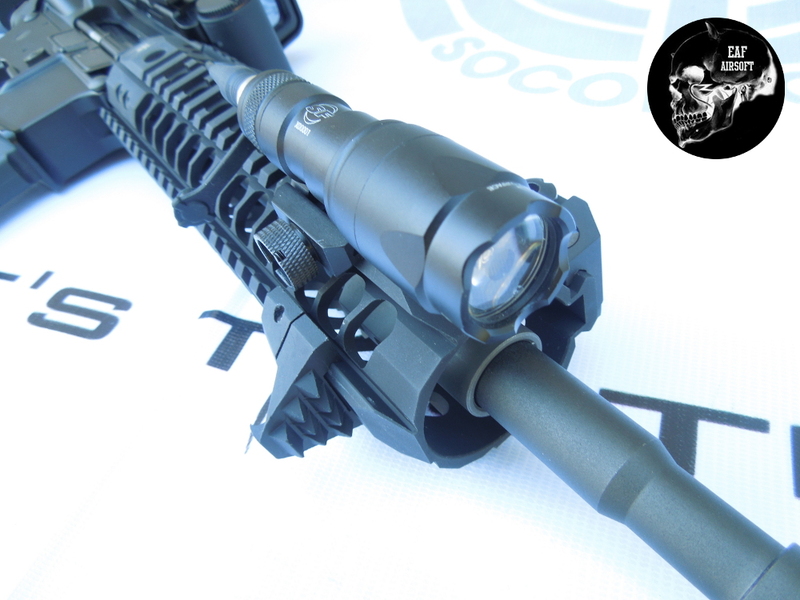 QD Eotech magnifier 3X BD.